High-damping rubber (HDR) has been commonly used to dissipate cyclic energy and reduce the bumping effect of a building structure. Studies on the application of HDR in precast reinforced concrete structures have mainly focused on the effects caused by lateral cyclic loads, but joints in precast structures are also highly susceptible to damage when frames are subjected to vertical cyclic loads. 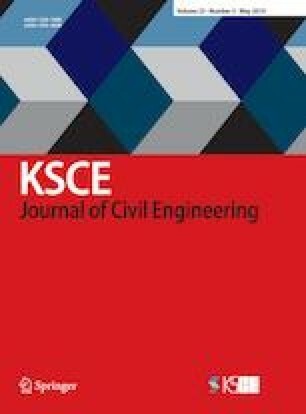 Therefore, this research aimed to develop a new hook-end U-shaped joint by using HDR so that the formation of cracks on precast frames could be minimized and the accumulated energy dissipation capacities could be enhanced under the actions of a vertical cyclic load. The developed joint was experimentally tested and compared with a single dowel beam-column-connected precast frame. Results revealed that the performance of the joint was similar to that of hysteresis loops and yield force. But, its maximum force and strength ratio were slightly lower than that of the control precast frame. A nonlinear 3D numerical model was also created and subjected to a vertical cyclic load to predict the behavior of the precast frame with the proposed and single dowel beam-column connections. Differences between numerical and experimental results were identified by comparing numerical data with experimental data.